I ask a lot from my vegetable garden. As soon as I remove a crop, I am replanting something back into that space. This allows me to make the most of the space I have and to achieve a great harvest all year long. However, this continual production depletes the soil of nutrients, so I am continually applying fertiliser to replenish the soil. How I do this? As soon as I have removed a plant or several plants, I spread an organic general-purpose fertiliser over the area, water it in and mulch. Then the ground is ready for planting up with seeds or seedlings. This is a continual process. I like to use organic fertilisers. They break down slowly, gradually releasing nutrients to my plants over a long period. When organic fertilisers break down slowly, plants can take up the nutrients as they become available. For many years I would go to the trouble of gathering a range of bagged products together to try and produce a mix that had a wide range of nutrients. I needed a mix that would provide everything my plants needed to grow, be healthy and resilient and produce plenty of fruit and vegetables. I mainly mixed up chicken manure and blood and bone, which are full of nitrogen to support leaf growth. Then add fish emulsion and seaweed extracts, plus potash to add phosphorous and potassium to support flowers and fruiting. Potassium is also needed for the general good health of a plant as well as helping develop a good root system. Then I would add rock dust to make sure I had plenty of minerals and trace elements. This was obviously a lot of work and the trouble is with organic manures is that you can never be sure of their specific nutrient content. So, when I saw a Katek product called Super Growth which contained all the ingredients I usually put into my mix but with a scientific analysis telling me the nutrient breakdown, I started to use it with great results. I recommended their product here on my blog some years ago and I am still using it and getting great results. With a nutrient ratio of N 3.5 % P 1.9% K 4% plus calcium and other trace elements, it is proving to be a very good fertiliser for my vegetable garden. It is particularly good for plants like broccoli, cauliflower, capsicum, peas and beans and tomatoes that all benefit from enough nitrogen to produce good healthy plants but not too much that you get all plant and no flowers and fruit. Then there are adequate amounts of potassium and phosphorous available to support good head production in the brassicas and flowers and fruit in my fruiting vegetables. 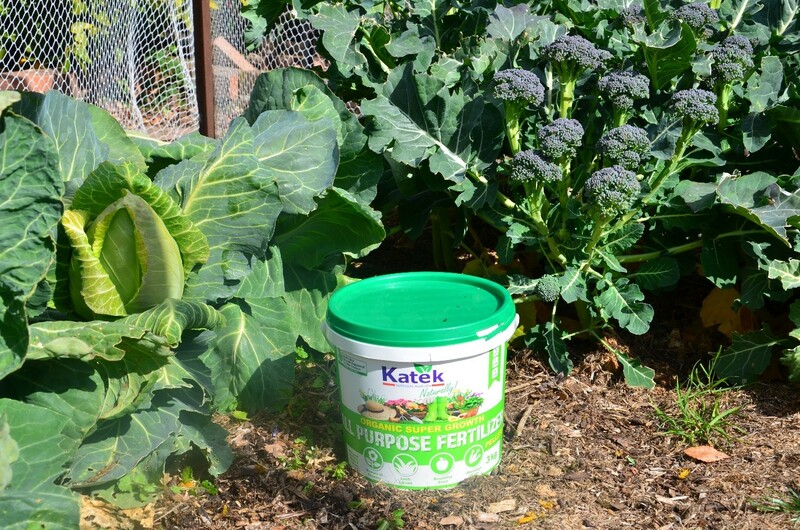 So, if you are looking for a ready mixed product to use on your vegetables why not try Katek’s Super Growth. 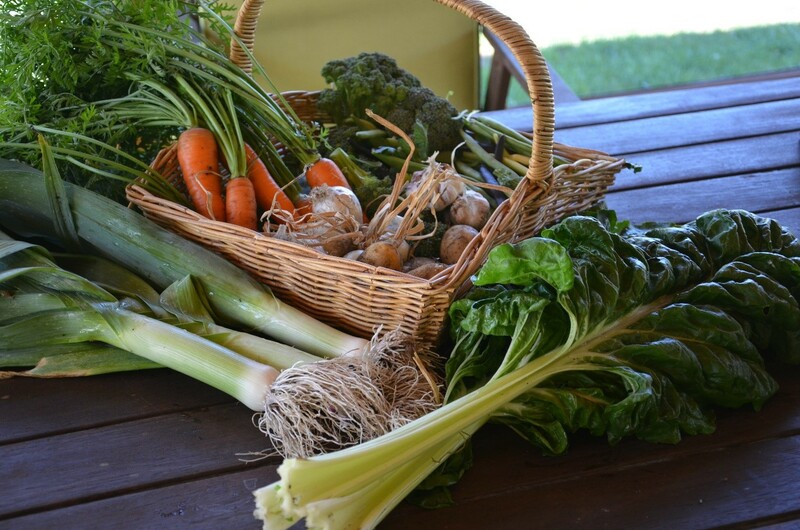 I am sure you will get great results like I have and get a great harvest from your productive backyard. This post has been sponsored by Katek. I was financially compensated and given the product to review. However, the opinions expressed are my own based on my experiences of using the product over several years.